Pushing the Boundaries and Breaking the Mold (1) – Plesiops Corallicola After being in the hobby for a long time, the usual becomes boring and not much of a challenge. To keep things interesting the temptation to push the boundaries is enticing. 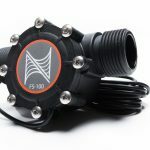 For a reef geek like me, this has manifested itself in attempts to keep challenging fish that are typically hard to keep, or pushing the boundaries with attempts to keep fish outside of the typical recommended parameters or just keeping odd ball fish that are not traditionally kept by the masses in the hobby. 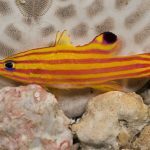 In the next few blogs I will highlight some of these not-so-traditional reef fish, and my other attempts at pushing the boundaries. A couple of years ago while visiting Joe Russo I came across some fish that I had not seen before – Plesiops Corallicola. 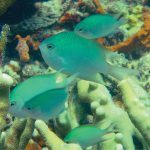 They belong to the same family Plesiopidae (Roundheads) and are not as well-known as their other family member, the Marine Beta (Calloplesiops altivelis). I was looking for fish I could potentially pair up and spawn. He happened to have several of these and I came home with a “pair”. Basically 2 fish with different sizes and hoping that they would eventually become a real pair. 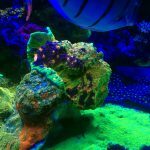 These fish were added to my 55G soft coral reef. 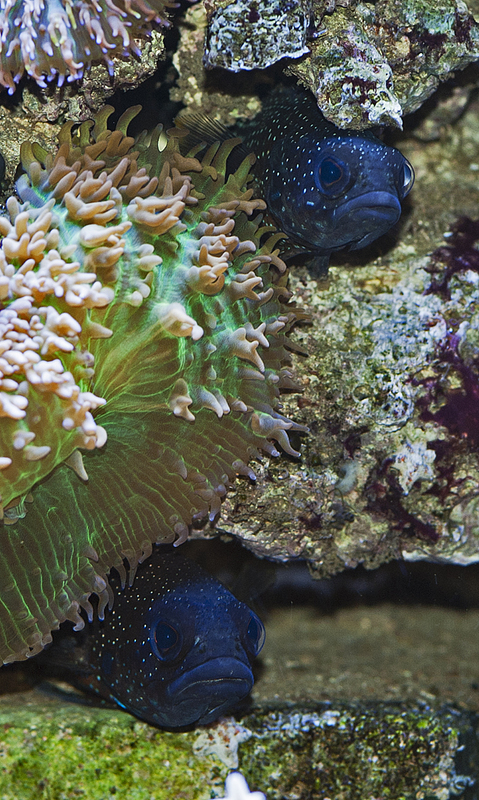 These fish are very secretive and spend their time hiding in the rock work. At feeding time they dash out, grab the food and disappear back into the rock work. Over the time I have had them, they have grown quite a bit in size – and the larger one is almost 4” long. According to www.fishbase.org these fish can reach up to 16cm (rougly 6+ inches). 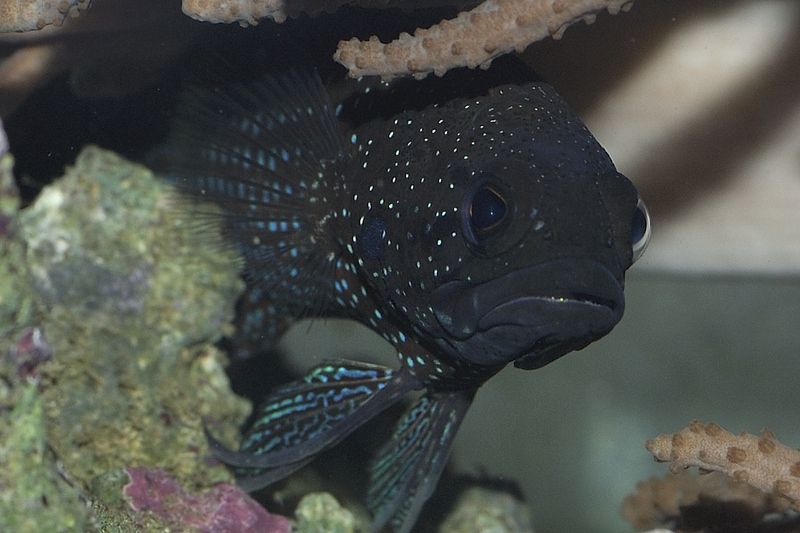 These fish are relatively common on reef flats and live in holes by the day hunting for food (small fish and crustaceans) at night. These fish have a large mouth and grab any fish that fits into its expanded mouth. 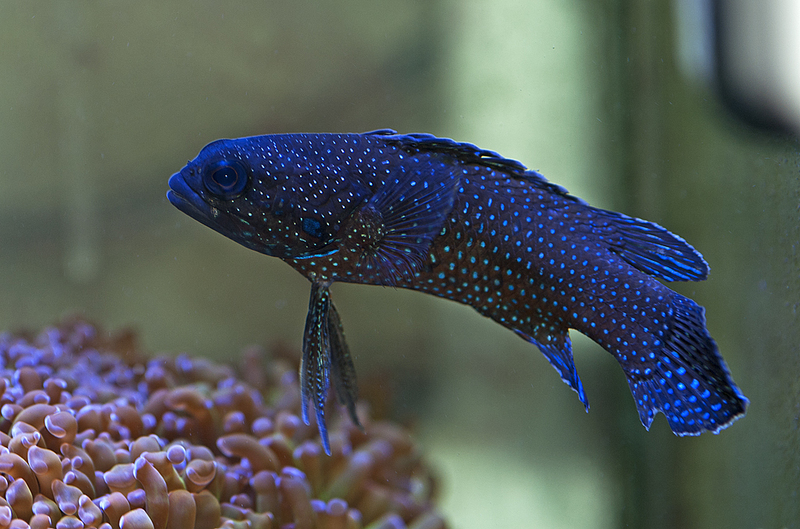 I have lost a few psuedochromis, damels , small clownfish and shrimp to predation by these fish, and hence would not recommend them for a tank with smaller fish. 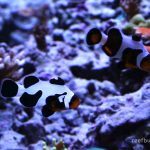 Currently they are housed with a pair of black photon clownfish and a yellow tang. Once in a while they are bold enough to hang out in the open – mostly at feeding time towards the evening when the tank lights are dimmed, and show their true beauty. Coloration ranges from gray background with whitish/bluish spots which can turn iridescent blue with a dark background. Other than the difference in size and subdued coloration on the smaller one I do not see any other external differences that would identify the male from the female. They tolerate each other but rarely hang out together. Since they have not killed each other it may be safe to assume that they are a “pair”. I have not seen any signs of spawning or courting behavior. I thought those were my fish???? lol Very cool and nice write up. They can be your fish if you want to get them out of the tank without ripping the tank apart. :-). I could use the space to experiment with other fish. I can understand the boredom and find myself occasionally ordering things that probably won’t sell very quickly just because they float my boat, so to speak. I had two small specimens of the corallicola in about a year ago. They sat for awhile but I thought they were incredibly cool and the blue spots were intense, couldn’t understand why nobody wanted them lol.